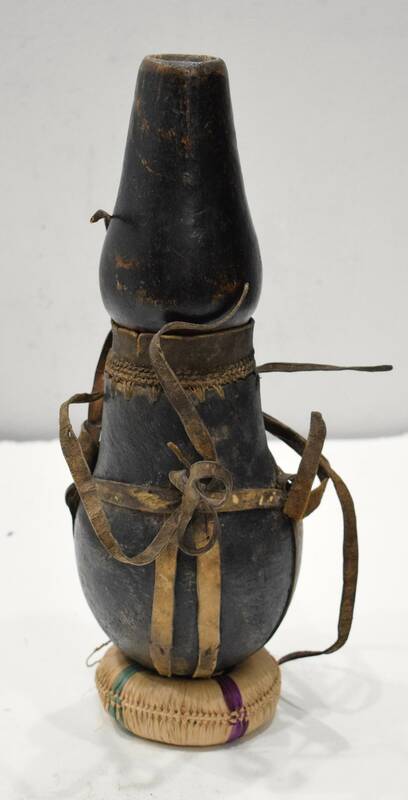 This beautiful Black Wood Milk Jug with Leather and Cowrie Shells from the Samburu Tribe of North Central Africa. 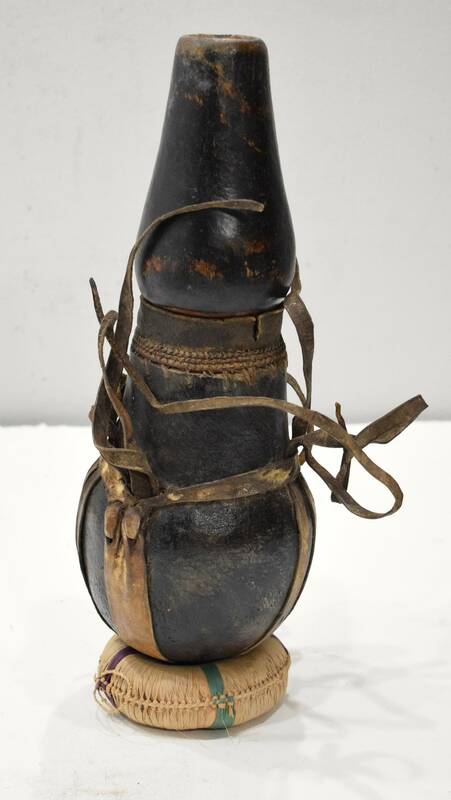 Akarum" are the water/milk containers used by the Samburu peoples, who place high value on physical beauty and adornment. The black jug was made by hand, for the man of the house. 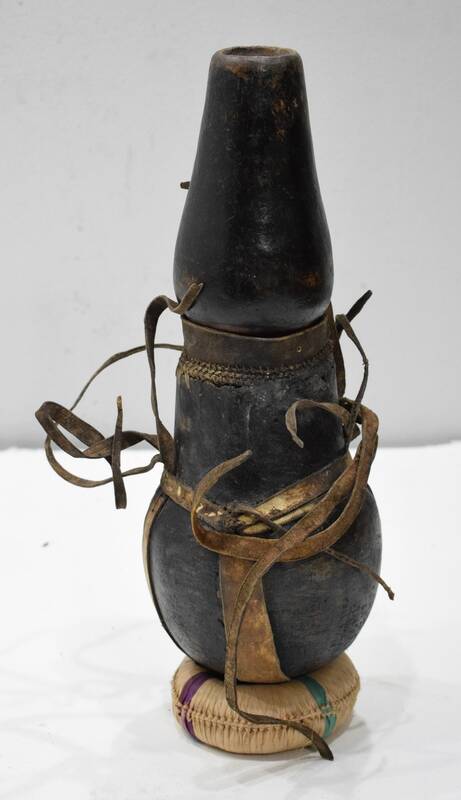 It was carved from a log, with great care over several days, until its thickness is that of a gourd and then finished off with a cap The milk is collected and stored in these jugs . 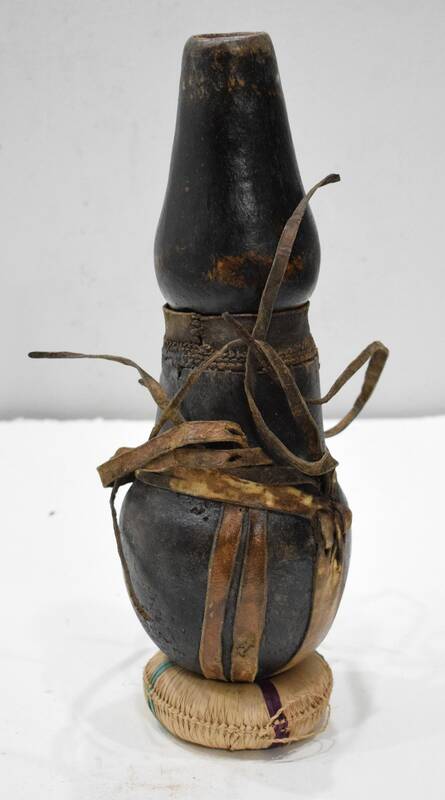 These wood jugs were used to contain yogurt blend of milk and blood, which is a staple food of these pastoral people. A Samburu woman would clean her milk vessel every night and sleep with them beside her bed. To clean them after repeated use, hot ashes from the fire will be tipped into the flask, stirred using a whisk made from the hair of a goats tail, and then emptied out. As a result the milk will have a smoky flavor. In the morning, she would rinse her hands and milk her cows, calling them by name. She would traditionally fill several jugs, one for her husband, one for her children, one for an unmarried warrior who must be sustained by the community he protects, and the remainder for herself. These jugs were treasured and necessary in everyday life. This is an old Milk Jug which shows age and use and was collected in the field. Tribal Milk Jugs are so unique and beautiful as home decor or given as a gift to a man or a woman.